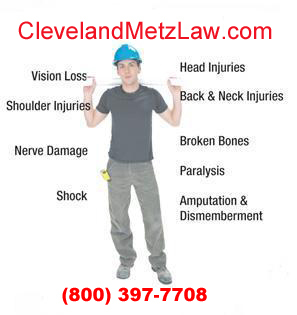 Work Comp FAQ – Law Offices of Cleveland & Metz We’ve posted many of the frequently asked questions and answers with regard to California Workers Compensation Laws. 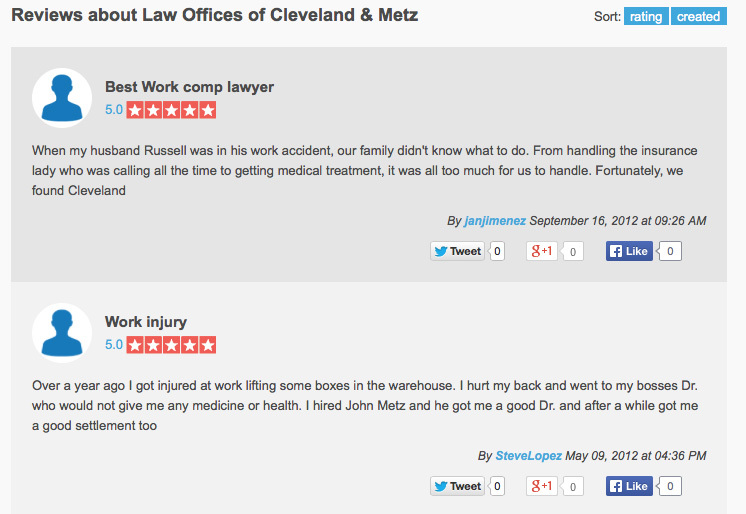 Please contact us directly regarding the unique issues of your particular work injury case. Our firm is here to help injured workers and their families. Should I retain a workers’ compensation attorney? 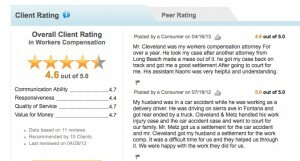 Does it cost anything to find out if I have a good workers compensations claim? I am injured therefore, unable to travel. Do I have to go to your office in order to retain your law firm? If I file a workers’ compensation claim can my boss fire me? I already hired a lawyer but I am not happy with their representation. Is it difficult to retain a lawyer to represent me? Should I trust the doctor that my employer or insurance company is sending me to? Can I continue to work if I file a workers’ compensation claim? What types of settlements are available? Can I receive medical treatment if I have been released by my doctor? Do I have a possible personal injury claim from my work injury? What kind of medical care am I entitled to? What if my employer insists I work after I got injured? Should I report the injury to my employer? What if they ignore me? Will I get fired? Can I stay at my job if I open a claim? What if I worked at a job that pays me cash? What if I am working illegally or are a non resident? What if I am a volunteer? Is workers compensation only for physical injuries? What if my employer did something intentionally or grossly negligent to me? What if my employer did nothing wrong, but I was injured? Are all on the job injuries covered by workers’ compensation? Should I retain a workers’ compensation attorney? 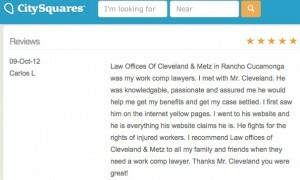 If you have been hurt on the job, you have the option of representing yourself or hiring attorneys. 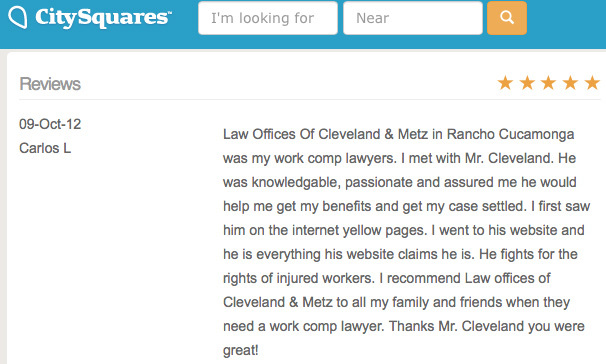 Workers compensation has been designed by insurance carriers to be virtually impossible to navigate by non-attorneys. The only advantage you have in representing yourself is not paying the attorney’s fee. The problem with representing yourself is the fact that the insurance adjusters and their attorneys are knowledgeable and experienced in using the maze of Worker’s Compensation rules to deny or delay benefits to an injured worker. Governor Arnold Schwarzenegger in 2004 made massive changes to the workers compensation system all of which were detrimental to injured workers and their families. Unrepresented workers make many mistakes due to their lack of experience in workers compensation laws, many of these mistakes are irreversible by an attorney after the fact. A knowledgeable and experienced workers compensation attorney can guide the injured worker through the maze to properly secure needed medical treatment, temporary disability payments and an award of adequate permanent disability settlement at the conclusion of the case. 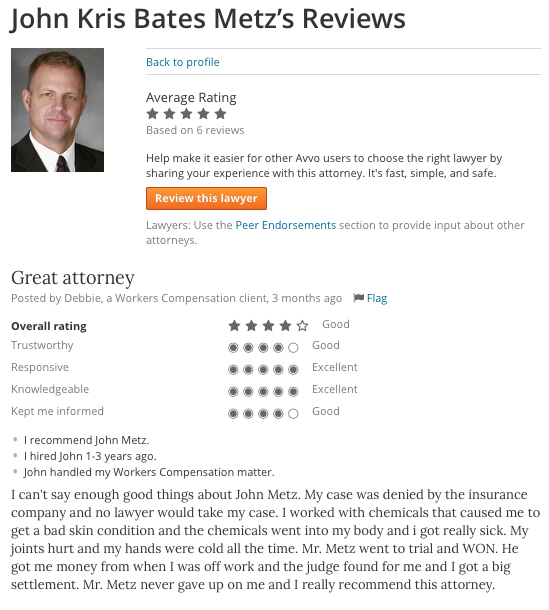 Insurance companies have attorneys working for them, so should you. What is my claim worth? The monetary value of your claim is determined by the severity and nature of your disability. No ethical lawyer can tell you the “value” of your claim until they have all the facts and evidence to make such a determination. The peace of mind you’ll gain from knowing your rights are protected by experienced workers compensation attorneys is priceless. 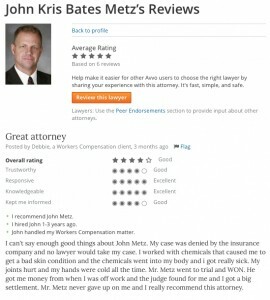 you do not pay any attorneys fee unless we obtain a result. In Workers’ Compensation the “fee” is a percentage is set by the Court. Our firm requests 15% as a fee in most cases. These fees have been pretty much the same since 1993. In other matters, we have set contingency fee arrangements. Beware any workers compensation attorney that asks you for any advance payment or fee as this practice is illegal. Applicant Workers compensation lawyers are only paid with the approval of a worker’s compensation judge. Does it cost anything to find out if I have a good workers compensation claim? The consultation is absolutely free. In fact, you’ll never pay a fee out of your own pocket or receive a bill from us. 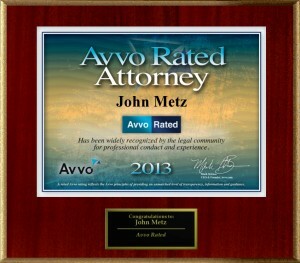 The attorney fee is paid at the end of your case and comes out of the proceeds of your settlement or award. 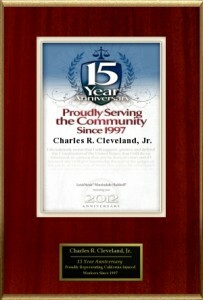 The attorney fee is 15% of the settlement or award. I am injured therefore, unable to travel. Do I have to go to your office in order to retain your law firm? No, we can send our investigator to meet you at your home, often the same day you call. If I file a workers’ compensation claim can my boss fire me? It is against the law for an employer to discriminate or retaliate against you for filing a workers’ compensation claim. If you are wrongfully terminated, we will help you find an employment or wrongful termination attorney to consult with on employment issues. How much experience does your law firm have? Our office has handled thousands of workers’ compensation claims. 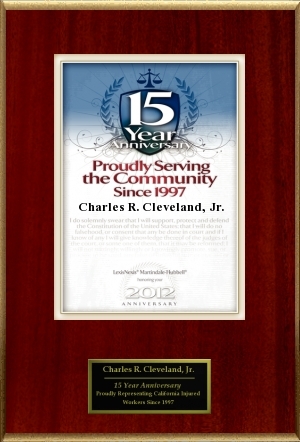 We have over 45 years of combined litigation experience in the field of workers compensation law. We are members of the California Applicants Attorneys Association and the Consumers Attorneys Association of Los Angeles. Our firm for the last eight years has engaged in nonprofit advocacy of injured worker rights in the California state legislature. Charles Cleveland as a Certified Specialist in Worker’s Compensation law with the California State Bar. I already hired a lawyer but I am not happy with their representation. 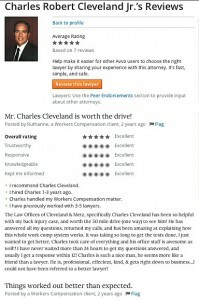 Is it difficult to retain a lawyer to represent me? You can change lawyers at any time. 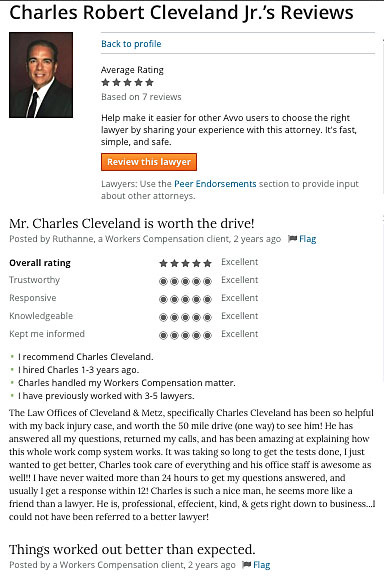 However in some cases we may recommend you stay with your current lawyer depending on a review of your file. If we feel that your case has been neglected, we will gladly take over the handling of your case. Our office will handle the transition for you. Should I trust the doctor that my employer or insurance company is sending me to? No, the industrial medical clinic doctor is not there to help you. In California, it is likely you will have to seek treatment within a medical provider network set up by your employer or their insurance company. Your choice of treating physician and QME (Qualified Medical Evaluator) will have a big impact upon how you are treated and the outcome of your claim. An attorney will help you make the choice for you within the medical provider network to get the best medical care. If your claim is denied, your attorney will assist you in getting a QME (Qualified Medical Evaluator) or a court date with a workers compensation judge to hear your case. Handling the case yourself and trusting the industrial doctors can be problematic, if not devastating to your future. You must remember that the industrial medical clinic and insurance company doctors are paid by the insurance company. They have to deal with the insurance company every day in order to maintain their business. They only have to deal with you once. Think about it. Why do I need a workers compensation attorney? An experienced workers compensation attorney will protect your rights. We will deal with your employer’s insurance company and attorney so that you can be relieved of a lot of the stress involved with being injured. You may need a lawyer because of complex legal rules involved in your claim process, or because the severity of your injuries might cause your compensation to vary greatly from the norm, because an insurance company refuses to settle a matter in good faith or if your claim is being denied based on a doctor’s report that claims you are not injured. An attorney will attempt to prove your injury is work related by gathering the appropriate medical evidence. A work compensation attorney will also ensure that you select a doctor in the MPN (Medical Provider Network) proper medical care, and document your injuries so that you receive appropriate compensation according to the Labor Code. Why do I need a workers compensation attorney? Workers’ compensation is the oldest social insurance program. It was formed over 100 years ago. It is a non- fault system, meaning that injured worker need not prove the injury was someone’s fault in order to receive workers’ compensation benefits for an on the job injury. If you are injured on the job or suffer a work related illness that prevents you from working you are eligible to receive benefits from your state workers’ compensation program. You are also entitled to medical care. The workers’ compensation system is a bargain between employees and employers. Injured employees receive limited statuary workers’ compensation benefits and these are the exclusive remedy for injured employees against their employer, even when the employer negligently caused the injury. This eliminates the need for a jury trial. Therefore a workers’ compensation attorney is necessary to prove that the injury was sustained on the job or how much in benefits an injured worker is entitled to receive. Remember this is a claim for benefits; you are not suing your employer. Workers compensation is an administrative law process. If I am initially treated by an insurance company doctor, do I have a right to see my own doctor at some point? If you’re in a medical provider network you can choose up to three doctors in that network. Also, if your injury is serious, you usually have the right to a second opinion. If a dispute arises with your treating physician, you may go to an agreed medical examiner or a state panel qualified medical evaluator to resolve the dispute. Medical Care and Treatment The California Constitution guarantees medical treatment for injured workers. The Applicant (the injured worker) is entitled to all reasonably necessary medical treatment to cure him/her from the affects of any and all work related injuries. The obligation of the employer to provide needed medical treatment arises when the injury is properly reported to the employer. For all accepted injuries occurring before or after the reform of 2004, the employer controls medical treatment through the use of medical provider networks. Many of these networks are rigged against you. The injured worker is required to select a treating physician from the medical provider network established by the employer and/or insurance carrier. Selecting treating doctor is very critical and an experienced attorney can help you with that selection. An injured worker can change treating doctors as long as the new treating physician is selected from the medical provider network. If your case is denied, you may treat outside of the medical provider network. Temporary Total Disability Payments If you’re treating physician states that you are unable to do your usual and customary work and there is no modified work available for you, the injured worker is entitled to Temporary Total Disability Benefits payable at the current rate, bi-weekly, which is dependent on the average weekly earnings on the date of your injury. The temporary disability rate is two-thirds of the injured worker’s average weekly earnings. The current maximum weekly rate for injuries varies from $881.66 for injuries occurring up to 2007. The maximum amount of temporary disability for accepted cases is 104 weeks. If your claim is denied, you may be entitled to state disability for one year. Permanent Disability Payments Permanent disability has been defined as a disability which causes impairment of earning capacity, mainly diminished future earning capacity because of the injury related impairment. It generally means that the injured worker has sustained a permanent diminished ability to compete in the open labor market. If you have permanent disability, you will be entitled to permanent disability payments based on the percentage of disability you have sustained. This percentage is determined by your treating physician, agreed medical examiner, or state panel qualified medical evaluator. If there is no agreement, a worker’s compensation judge will determine the disability rating. If an injured worker is deemed to be 100% totally disabled, then the worker will receive the temporary total disability rate for life with periodic cost-of-living increases for injuries occurring after 2003. For less than 100% disability the maximum rate for injuries occurring in the year 2006 is between $230.00 and $270.00. The rate of $230 is for disabilities ranging from 1% to 69%, $270 for disabilities ranging from 70% to 99%. The rate for injuries occurring in prior years varies. The permanent partial disability payable is based on the percentage of disability the injured worker has sustained. For injuries occurring since 2005, the permanent disability will be based on the treating doctor’s opinion or possibly a Qualified Medical Examiner or an Agreed Medical Examiner who has examined the injured worker. Access to medical treatment and examinations has been severely restricted by Arnold Schwarzenegger’s workers compensation reform in 2004. It is important to realize that an injured worker is not entitled to any money for pain-and-suffering, inconvenience or discomfort, nor is the injured worker entitled to reimbursement for loss of wages. In a work-related injury, the injured worker is entitled to receive permanent disability benefits, temporary disability benefits, and medical treatment to cure or relieve the effects of the injury. What if my claim is denied? The insurance carrier can put your claim on a ninety-day delay in order to investigate your injury. If your claim is denied, you will have the burden of establishing that the injury arose out of and occurred during the course of your employment. The carrier may claim that you were an independent contractor, or that your injury was not caused by your employment, or that the injury pre-existed your employment. Often times, the insurance carrier will simply deny your claim because you did not sign a medical authorization or they will state that there is no medical evidence to support your claim. If your injury is denied, you should file for State Disability Benefits immediately. You will need medical certification to qualify. If your injury is denied, then your claim will have a one-year statute of limitations. This means that you must file an Application for Adjudication of Claim with the appropriate Workers’ Compensation Appeals Board within one-year of the date of your injury or your claim will be barred forever. Can I continue to work if I file a workers’ compensation claim? The fact that you are working or have been returned to work does not affect your right to pursue permanent disability or further medical treatment. Many injured workers return to the same job, although they have permanent partial disability to which they are entitled. The insurance Carrier does not always pay the permanent disability to which the injured worker is entitled according to the medical opinion of the doctors involved in the case. Do not confuse the ability to work with the right to receive permanent disability benefits for an injury or the right to continuing medical treatment. Many people hear the words permanent disability and think they’ll never going to work again however this is somewhat misleading as the disability scale is somewhere between zero and 100%. What types of settlements are available? A workers’ compensation case generally can be settled in one of three different ways. First, the case can go to trial, in which case the judge makes a decision on all relevant issues. The judge will issue a Findings and Award. Secondly, a case can be settled by way of a Compromise and Release, which is a full and final release of any and all claims. A Compromise and Release would terminate the liability of the insurance company for all benefits, with the possible exception of vocational rehabilitation benefits. This is a lump sum settlement. It forever settles any entitlement to further medical treatment and usually closes all issues in the workers compensation case. Thirdly, a case can be settled by way of a Stipulation with a Request for Award. With a stipulation, payments for permanent disability are made bi-weekly and the injured worker will likely receive future medical treatment for life. With a Stipulation with Request for Award the parties are agreeing to a certain level of permanent disability. The judge will decide whether the injured worker is entitled to future medical treatment based on the medical evidence in the case. If you are awarded further medical treatment you will be entitled to all reasonably and necessary treatment for the specified parts of the body injured for the balance of your life. The injured worker would also have the right to petition to reopen the case should the worker sustain new and further disability at any time within five years of the date of injury. Can I receive medical treatment if I have been released by my doctor? If you have been released from treatment by your primary treating doctor, you have no further right to treatment. You will either have to convince your primary treating doctor to reinstate medical treatment or you must go to a Qualified Medical Examiner to secure an opinion on the medical treatment issue. If the Qualified Medical Examiner, or QME, believes that you should receive additional medical treatment, the issue can be brought to trial for a decision by a workers’ compensation judge. Do I have a possible personal injury claim from my work injury? The Labor Code precludes an injured worker from suing their employer for an injury caused due to the negligence of the employer in most situations. If the employer is willfully uninsured, the injured worker has the option of suing the employer in civil court and/or pursuing a workers’ compensation claim against the uninsured employer. In many situations the injured worker has a personal injury or products liability claim against a person or entity other than the employer. For instance, if the injured worker sustains an injury while operating a motor vehicle and the fault of the accident is caused by another party other than the employer. Many construction accidents involve negligence by an entity other than the workers employer. Injuries involving products often give rise to products liability claims that the injured worker can pursue against other companies. If your claim is against a governmental entity, there is a requirement that you file a formal written claim with the appropriate governmental entity within six months of the date of injury. If you fail to file a written claim within this time period, it is likely that your claim would thereafter be barred. It is important that an injured worker get knowledgeable and experienced advice on possible collateral remedies such as personal injury or products liability claims. There is generally a two-year statute of limitations in the State of California on personal injury or products liability claims occurring since the year 2003. It is important that an injured worker contact an attorney as soon as possible to secure advice on any statutory issues and to preserve evidence necessary to pursue any other legal remedies. 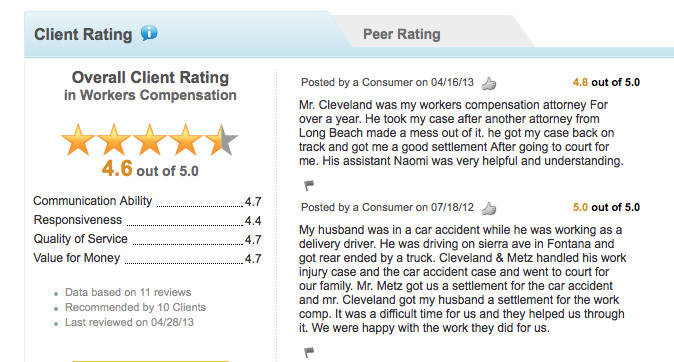 compensation benefits no matter who was at fault. You may be able to sue in court if your injury was caused by someone other than your employer. For example, if you are a delivery driver and another driver runs a red light and hit you who then cause injury, you’d be entitled to personal injury damages as well as workers compensation benefits with some limitations as to the benefits delivered. What kind of medical care am I entitled to? Injured workers are entitled to receive all medical care reasonably required to cure or relieve the effects of the injury, with no cost to the employee as guaranteed by the California Constitution. There are several limitations in medical treatment in the new workers compensation system which may be particular to your case. What if my employer insists I work after I got injured? If your employer insists you complete job functions that your doctors have advised you against or you feel pain completing certain tasks you should again notify your employer that you are unable to do this tasks because of your injury. Report this incident to your attorney in your treating physician. Should I report the injury to my employer? Yes, you should report an injury that occurs in the workplace to your employer as soon it has happens. They should give you a DWC1 claim form to fill out. Make a note as to the date time and who you spoke with. Also note whether they give you a claim form or not. What if they ignore me? Fire me? If your employer ignores you when you try to report an injury you should still immediately go to see a doctor. If your employer fires you see an attorney immediately. You may have a right to open a wrongful termination case for discrimination based on injuries or for failing to accommodate your injuries. If your employer tries to talk you into using your private health insurance and stating the accident occurred at home, do not do this as the insurance company will use it against you later when you decide to reported as a work injury. Can I stay at my job if I open a claim? Yes, you can stay at your job if you open a claim and your treating physician states that you can usual and customary work or modified work if it is available What if I worked at a job that pays me cash? Even if you have a job that pays you cash you are still entitled to open a workers’ compensation case. You must be able to prove your employment though with pay slips, canceled checks, deposit slips, time cards or other such documents. What if I am working illegally or are a non-resident? If you are an illegal worker (not using a valid Social Security number) or are a non-resident you are still entitled to open a workers’ compensation case. You must be able to prove your employment though with pay slips, time cards or other such documents. What if I am a volunteer? If you are a volunteer and are injured in the workplace under the laws of the State of California you are not entitled to open a workers’ compensation case. What if I die? If you die due to a work related injury this may be a death benefit workers’ compensation action. You may still entitled to open a workers’ compensation case. The deceased’s family may open a case. There are specific time limitations to filing a death claim which must be adhered too. Is workers compensation only for physical injuries? Workers’ compensation cases can be opened for physical injuries as well as stress and psychological harm. Many people feel stress from overwork, stressful occupations, or traumatic events such as robberies or assaults in the workplace. Mold and toxic exposure, blood-borne diseases, gastrointestinal disorders and cardiopulmonary albums can also be compensable work injuries. What if my employer did something intentionally or grossly negligent to me? If your employer did something intentionally or grossly negligent to you to cause your injury, you may be entitled to pursuing a Serious and Willful Cause of Action as part of your workers’ compensation claim. What if my employer did nothing wrong, but I was injured? Even if your employer did nothing wrong to you are still able to open a workers’ compensation case if you were injured in the workplace if you are in need of the benefits available. What if I was partially at fault? Even if you were partially responsible for your injury you may still open a workers’ compensation case if you are needed the benefits available. It is a no-fault system. What if I have a previous injury? If you have a previous injury you should inform your doctor of this. You are still entitled to open a workers’ compensation claim. In the new workers compensation system, there may be some apportionment to your prior workers compensation claim, meaning that your current employer will only be responsible for that portion of permanent disability that occurred in the new claim. What if I have a criminal record? Even if you have a criminal record or have served time in prison you may still open a workers’ compensation claim. 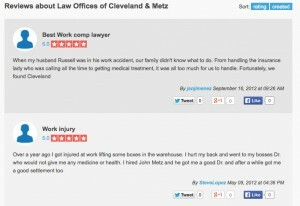 Are all on the job injuries covered by workers’ compensation? Yes, all job injuries are covered by workers’ compensation. Contact our office for specific details regarding the facts of your case.